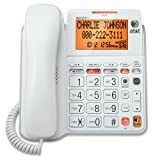 How should you choose a corded landline phone? Cordless phones have become quite common today. However, are you someone who still prefers the sound quality and reliability that corded telephone landlines offer? 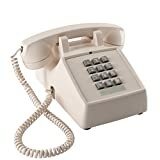 If so, you will be amazed to know that there are plenty of options available for you to choose the perfect corded landline for your home or office. 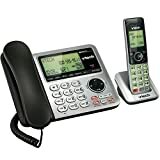 From the various options available, you may find it overwhelming to choose the best corded landline phones. However, if you prioritize on the features that you need the most, making this decision can be rather easy. 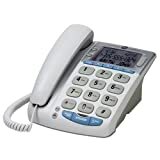 What should you consider when buying a corded landline phone? 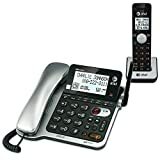 Built-in speakers: With a built-in speaker, you can try hands-free calling, making the phone truly versatile. The sound quality of the phone will be an important aspect to consider with this feature. 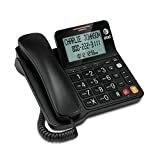 Caller ID: Many modern corded landlines offer the feature of displaying the caller ID, an aspect that is essential to ensure that you avoid unimportant calls. 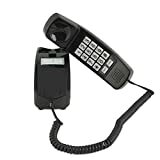 Memory: If you want to buy a corded landline for office use, you may need more memory space to save contacts and telephone numbers. Check for this feature before making your choice. Look and design: There are different types of corded landlines available, depending on their design and look. 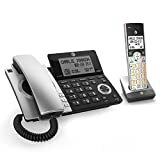 You can opt for a sleek-looking modern phone, or purchase a vintage-style phone based on the overall theme of your home or office. 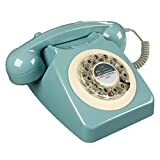 If you choose a vintage phone, you need to be sure of the authenticity of the phone, as well as being aware of the phone’s condition. That way, it will offer you the basic features for which it was intended.